I am a master herbalist. 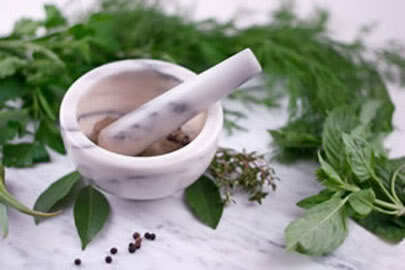 I offer herbal consultation to treat many conditions. Many conditions can be treated with herbal formulas alone. Though not as effective as a combined treatment with acupuncture, this is ideal for those on a tight budget or are afraid of needles. I take great pride in understanding the benefits of herbs and its reaction with pharmaceutical drugs. Some herbs can not be taken with certain drugs. This is crucial knowledge that I share with my patient when I carefully evaluate their case. Chinese herbal medicine is an ancient practice of using plants, minerals, and animal parts to create a formula to treat various ailments. As opposed to Western medicine, the foundation of this approach is to support the body’s natural self-healing mechanisms and abilities. The use of medicinal herbs in the Chinese culture dates back to Shennong in 2737 BC. I can prescribe herbal formulas in loose form to be made as tea, soup, or some form of decoction. Since each patient has different needs, I carefully select and combine a variety of herbs that will synergistically blend together to achieve optimal results for your unique situation. I can also prescribe them as patent formulas premade as pills or capsules. These are high-quality, professional-grade herbal medicines that are available only to qualified licensed professionals. 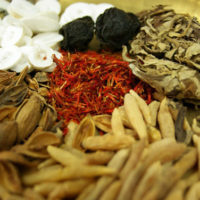 Most Chinese Herbal Formulas have no side effects if prescribed properly. These formulas are designed to heal the body and restore harmony so long term use is not necessary. Herbs that are carefully aged in wine or alcohol are called tinctures. More modern formulas substitute the alcohol with glycerin. The longer they are soaked with herbs, the more potent they get. 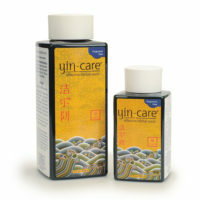 These tinctures can be used as a wash or for soaking body parts to absorb the healing properties of the herbs. These are pre-made tinctures that I occasionally prepare myself. 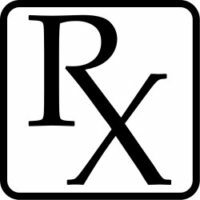 Many of my patients are concerned about long term use and the side effects of prescription drugs. I have helped many of my patients get off of pharmaceutical meds or reduced the amount of medications needed to treat their medical conditions. A careful treatment plan is required to gradually get off of the drugs by prescribing herbal formulas as substitute along with a combination of acupuncture. Many of the herbal formulas can treat multiple symptoms. Many symptoms in TCM are just branches of a common cause therefore one herbal formula can treat multiple symptoms addressed in Western Medicine.